It's no secret that this is one of my favorite books of 2012. I couldn't stop thinking about it, wrote a blog post about it after just finishing, and kept rereading it in the following days. 1. (+) Alina, the protagonist - Alina had me from the beginning. First I really liked the orphan scene, Alina and Mal's wildness, and the way their friendship held but also changed over the years. Then came her sharpness and humor and strength (and sadness) regarding Mal in those opening chapters. Sometimes she does come off as being a little unsure of herself, but it wasn't enough to detract from her character. 2. (+) World-building - Absolutely fantastic! Volcra and the Grisha Orders and the history of Ravka and the other countries (I'd really like to know more there) and the Shadow Fold and the tents/Court and the tsarist/Russian feel and everything--loved it all! It saddened me to read a review on Goodreads that suggested that perhaps the Russian inspired feel was not done as well as it could have been, but at the time I was reading the book, I was so caught up in the details that I'm not sure I would've noticed otherwise. 3. 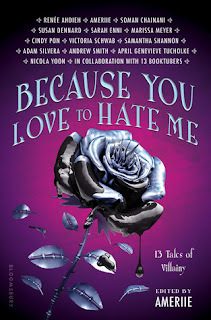 (+) Romance - the best of both worlds - romance with the Darkling (as implied in summary) & with best friend Mal. (No, there is no love triangle. That's all I'm going to say though, because I don't want to spoil it for you). I believed in both romances equally, though I'm more inclined to the Darkling simply because I'm fascinated by his character. The scenes with Mal are more heartfelt, and the scenes with the Darkling are more mysterious-- the romances both worked and functioned in their own way. 4. (+) The Darkling - Can I take a moment here to praise the Darkling? At first, he seems like the typical brooding, dark and arrogant YA stock romantic interest, but there is so, so much more to him. When you have questions about a character and after reading the novel, can't stop thinking about the character because you want to know more, you know that the author has done a good job. I don't actually want to go into specifics about the Darkling, because you all should discover him for yourself. 5. (+) Character growth - Few novels that are a part of a trilogy focus the character growth in one book. 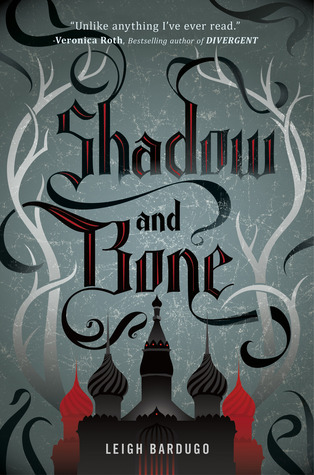 Rather most seem to do it over the series, but Shadow and Bone has plenty of character that's refreshing to see for the start of a series. Alina starts off doubting herself quite a bit, but lessons with her teachers among other things help her grow into a stronger woman... And if Alina already has this much potential, I can't wait to see how much more she'll grow in the next two books (which, by the way, have names now! :D). 6. (+) Prologue/Epilogue - I really love it when I can feel a book cycling back to the beginning and highlighting the themes. I also thought that the prologue and epilogue were particularly well written. 7. (+) Cliches - You might be a little confused by me writing that I liked the cliches but just wait. It is a little cliche to have an orphan who has a lot of power, to have the most beautiful girl taunted at Court despite her abilities, to have the "mysterious" romantic interest, but Leigh Bardugo makes them work. She put enough detail in there that I believed in the characters and didn't stop to think about how cliche the situation might be. 8. (+) Writing - It was pretty easy to get lost in the writing, in the sensuality and atmosphere of the world. Admittedly, sometimes I got a little confused when it came to the names (all the different ranks, etc. ), but that's mostly because 1. they didn't put the labels that would normally come in a finished copy and 2. even if #1 wasn't an issue, I read it on my computer, and I never look back when I read it there. 9. (+/-) Pacing - When I was reading the book, I was lost enough in the world not to care, but now that I'm thinking back on it, the middle was slower than the rest. It probably would've been better to have less of the Zoya drama / girl characters (whose names I cannot remember for the life of me) gossip and more action, more twists in the plot. 10. (+) The Cover - Big win. Thank God for a cover that isn't yet another close-up of a girl's face and actually features themes from the book. Great review! Now you've convinced me to get this book. I've been debating for months! :D It sounded so 'out there' that I thought I wouldn't like it. I cannot wait for this book! Great review, and that is a pretty good book trailer, as book trailers go! Thanks for sharing. Great review! I like the protagonist Alina in the book and I feel that this book is leaning toward a love triangle. Yes. The world building in this book sucked me right in... it was gorgeous and lush and so very intriguing and layered. The Russian influence isn't one often seen in YA, and I wonder why that is. And The Darkling. By far the most interesting character in this story... his character arc surprised me and took me off guard. Can't wait to see what Leigh does with him in Shadow & Bone. And the love triangle. I'd be interested in hearing more why you don't think it is one.